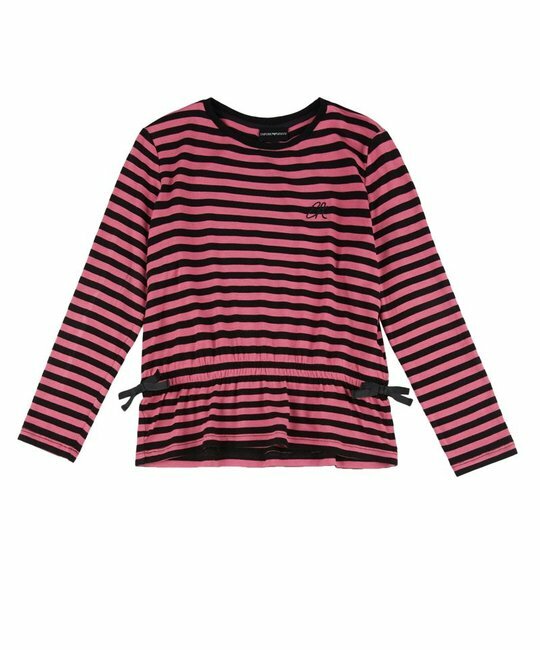 Emporio Armani soft stretch pink and black stripe top with bow detailing at the waist. 95% Viscose, 5% Elastane. Imported.